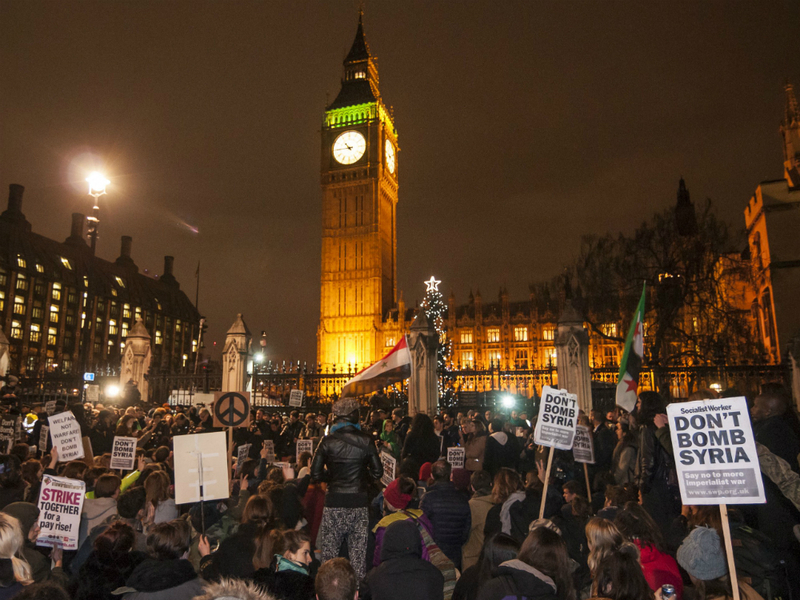 Last night, a parliamentary majority voted to begin UK airstrikes over Syria. (If you’ve got some questions about how that will impact on your lives, we’ve written this pretty comprehensive guide to what that means.) But while four planes have already dropped bombs on six targets across eastern Syria (and eight more have been deployed to help them), many people are unhappy with the result of the vote. They believe that not enough time was spent researching alternatives to warfare, and that we could have done a lot more to prevent the growth of ISIS (/Daesh) before resorting to airstrikes. If this is you, then you have a few options. Number one is moaning to your colleagues. Make a cup of tea together. Have a rant. Resume working. Sure, unless your workmate is called David Cameron, your whinging might not have much of a political impact, but you’ll probably feel better. Number two, is moaning on social media. This has the benefit of reaching a larger audience – but at best, you’ll be retweeted by 15 individuals who agreed with you anyway. At worst, you’ll be trolled by somebody who doesn’t. 1. Get out there. Online activism has its place, but taking to the streets is also part of the process of change. 2. Think about location. Is there a business or place – such as Yarl’s Wood – that has meaning for your cause, with a safe space nearby for a crowd to gather. 3. Consider the protesters’ experiences on the day. We often try to create a festival atmosphere at our demos, with speakers, music and poetry performances. 4. Keep the police informed. You have the right to protest peacefully in any public space in the UK, but it’s a good idea to tell the local police of your plans to gather. 5. Make the most of social media. You can create a national network of grass-roots organisations through whom to publicise your demonstration.